As events progress, we are likely to find ourselves seeing new sites, meeting new people, and experiencing new things which at present, may seem a bit alien. In this case, we may want to give the thought some time and consideration so that if and when that moment comes, we can all be ready for something new. On that note, here is the discussion, with commentary and reference links included. David Wilcock: All right. Welcome back to “Cosmic Disclosure”. I'm your host, David Wilcock. And I'm here with Corey Goode. I'm actually learning a lot myself by talking to him about this, because even though we discuss some of these things on the phone, I've never really gotten to see it all laid out like this. It is a tragic story. In fact, I would say this is probably the greatest drama of any of Corey's accounts that we've had since he was first taken to Mars and was captured and almost killed before he got portaled out. So Corey, welcome back to the program. David: So where we last left you, you have now been in the bus with Kaaree on the way back from this meeting in the Kuiper Belt in which this man who becomes The Wrangler later on in our story and Gonzales were both sitting there. And they're looking at intel, but they don't want to tell you anything, which means you and I, and, thus, our audience and everybody else, is getting cut off from valuable stuff. And everything we've been hearing is that this is all building up to some epic defeats of the Cabal on Earth, some stuff that we want to know more about. David: So did you get any sense of the progress towards the exposure and defeat of the Cabal from any of these briefings at all? Corey: It sounded as though everything was still status quo on the negotiation side, but there was beginning to come . 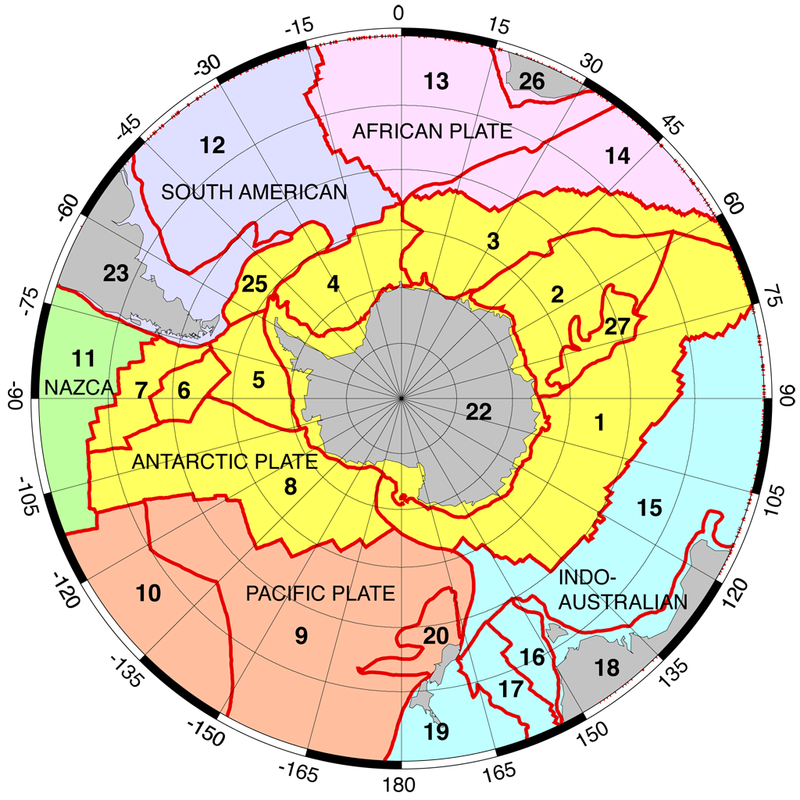 . . Information about Antarctica was starting to come out. And there was a little bit of that in there, but that really developed more later. David: The Wrangler and Gonzales started to give you information about Antarctica? Corey: Right, that . 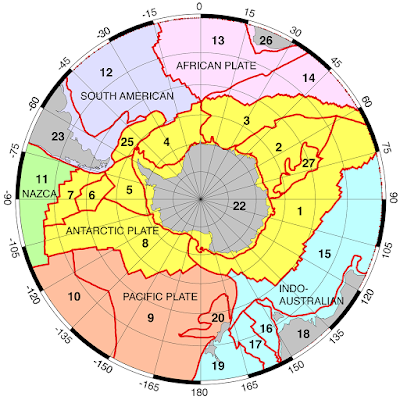 . . Well, Antarctica and more information about . . . That was actually the time I was given information about bases, the underground bases in Brazil and Argentina, that Cabal groups were going into like ants, bringing supplies and all kinds of stuff. And I was told about the rift system that ran from Antarctica and connected to enough . 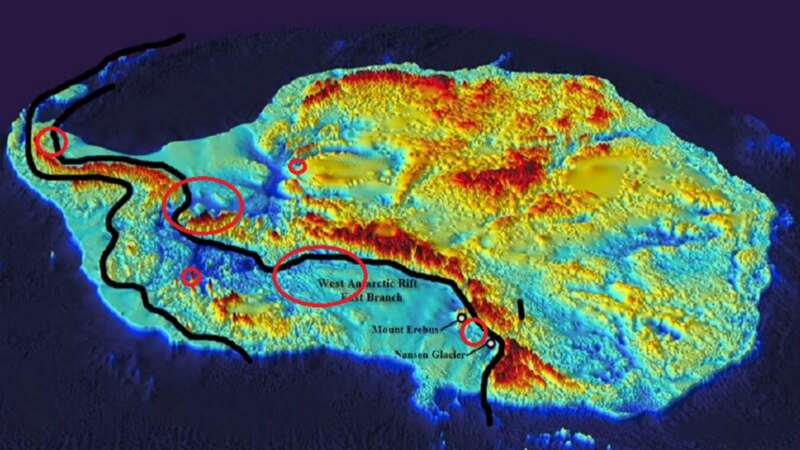 . . another rift system that ran underneath South America, Central America, on up to the United States. And part of . 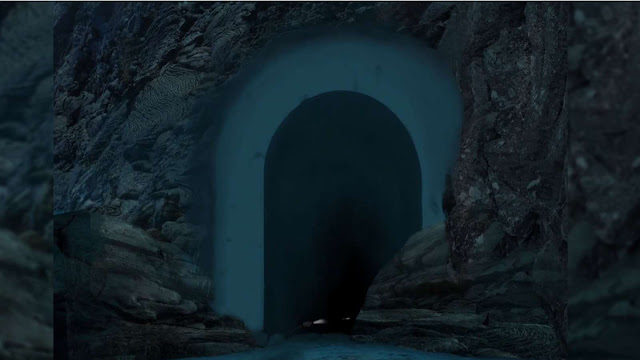 . .
David: These rifts are in the ocean, and they're like traversable tunnels with water in them? Corey: These are actual tectonic rifts that, you know, like a rift, and . . .
David: A crack between the plates of the Earth. Corey: Right. And some of the area was completely underwater. In some areas, they had built out towards the top little bases or outposts. But the area was so incredibly huge. And they described what they call 'black subs' that were the size of container ships that carried shipping containers full of beans, bullets – everything needed. 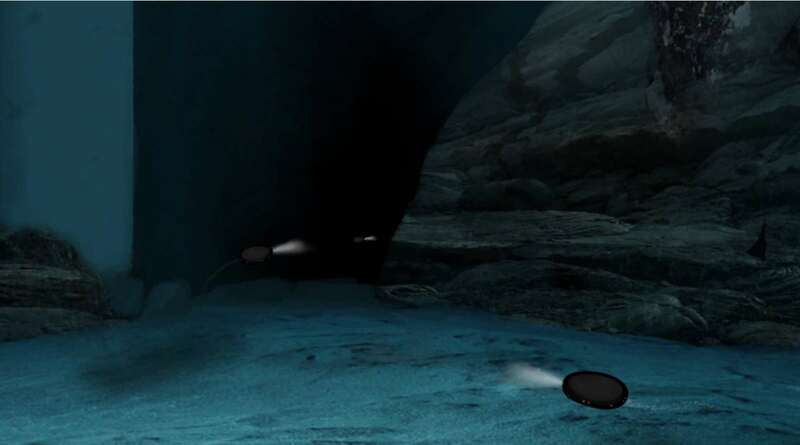 And they were traveling underwater, propelled electromagnetically underwater, through this rift system all the way to Antarctica where they had a port. David: All right. I want to bring this to your attention, Corey, because I don't know if I've ever said this to you. My insider, Bruce, who I met through Hoagland, who's a major part of the new book “Ascension Mysteries”, told me that he may be leaving, that he may have to go to Argentina or somewhere in South America. And when I asked him why – now remember, this is the guy who worked for the Reagans – he told me that they are moving everything out of North America, Europe, all that. They're migrating down there. And it's because there is this massive effort against them from Putin – is how he was explaining it. Then we independently had Pete Peterson basically tell me the same thing, not that he was going to be leaving, but that there is a massive transportation of all kinds of assets, personnel, personal items from high level Cabal people. They're moving their houses, their families, their staff, everybody. They're trying to hide out. Now why do you think, or were you told, why are they hiding out? Corey: Well, because of the way things were going for them, was what I was told at this meeting. 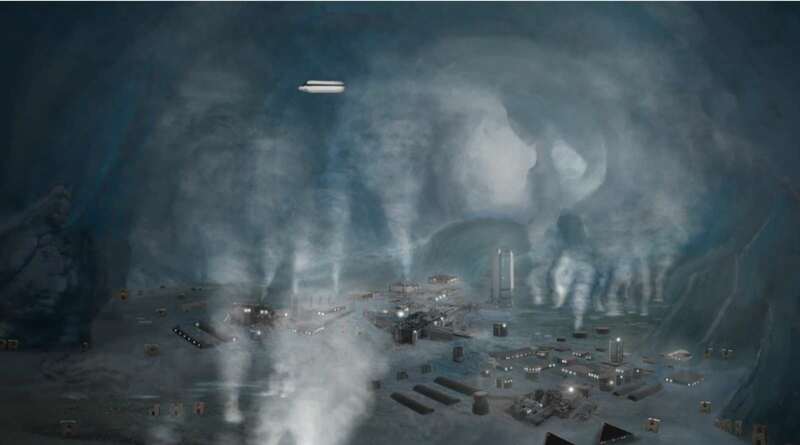 But later on, I was told that they, at least some of them that were headed down to Antarctica, had the belief that there was going to be some sort of solar kill shot or huge plasma waves that were going to hit the Earth. And since they couldn't escape the Earth at the time, they were going to hide out under the ice shelf. 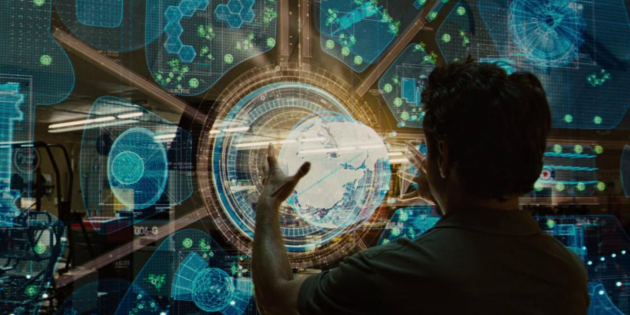 This same concept was clearly depicted in the movie 2012. This movie seemed to be a soft disclosure designed to manipulate the audience to authorize the cabal's plan of attempting to escape the planet, and destroy everything as they left (or possibly a similar plan to depopulated the planet. David: And this gets back to the Hindu Zoroastrian Christian prophecy of the so-called glory Lord of this big solar flash event. David: Okay. So, but can you also corroborate the intel that I got from Bruce and Peterson that these people feel like there's going to be some epic public defeat of them, exposure of them, and that's part of why they're on the run? Corey: Oh, yeah. They're . . . This is the part of the Cabal that is not negotiating. Part of . . . There's part of the Cabal that's negotiating with the Earth Alliance, and then there's another part that is not up for negotiation. Don't even consider it. David: Okay. So let's now move forward on this. And what is the next noteworthy thing that happens? 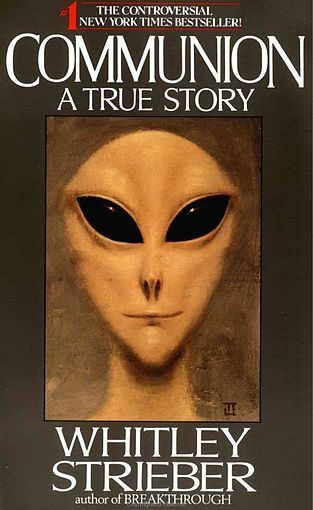 Did you talk to Kaaree and find out more about what Gonzales was up to while he was in the Inner Earth? Corey: Yes. And that had occurred a little earlier. The conversations I was having with Kaaree were after she had told me that Gonzales was not only made things to where only he went to this outpost, this Ancient Builder Race outpost that was working, operational - he had them take only him to that and also to another meeting right after, which was very similar. It was the exact same station that we had gone to outside of . . . in Jupiter's orbit. He had, after that, he had been taken directly out to Saturn, which had an exact duplicate base or station that we had gone to around Jupiter that we had meetings with the Super Federation group. This . . . But when he went to this, it was the same thing. He went through this, not really a portal, but some sort of a time anomaly to where you have to go in and come out the same way. He went . . . They went in the same way. They docked. There were no other vessels. There was nobody in that station at all. And she took him to the exact meeting room that we had been in where everyone would sit in these horseshoe shaped areas where they were assigned. And he saw one of these beings again that was out at the Venus location. And once again, he was told that he lacked humility. And he couldn't go ahead with the meeting. 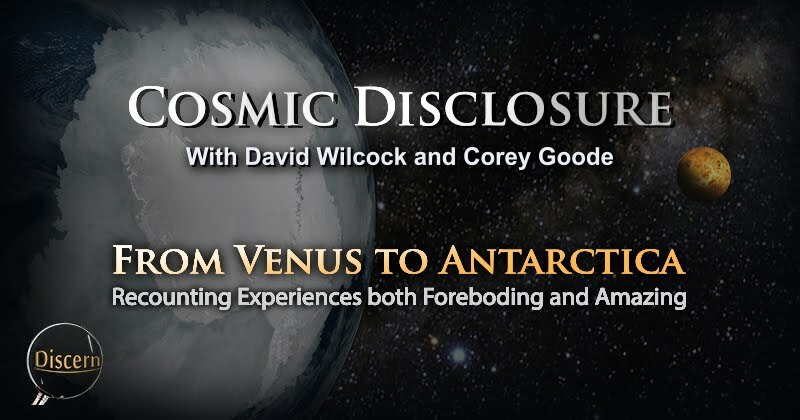 David: So I want to double click on Venus a little bit here, because I have had an incredibly hard time getting any information about any unusual activity going on in this planet, around this planet, at all. Corey: It's mostly a no fly zone for various SSP groups. David: So let me tell you what I have heard from various insiders whose testimony corroborates with yours, and we'll just take it from there. First of all, I talked to Pete Peterson about it, and from his level of need to know, that's a very important point for everybody to remember, 'his level of need to know', he was told that the planet is very hot because of all the clouds and that the only . . . that there are some developments from our Space Program there, but they have to be staffed by androids, because humans can't handle the heat. That's what he was told, that everything that's there is run by basically robotic humanoids and not people, because the temperature is so sweltering. Corey: Yeah. 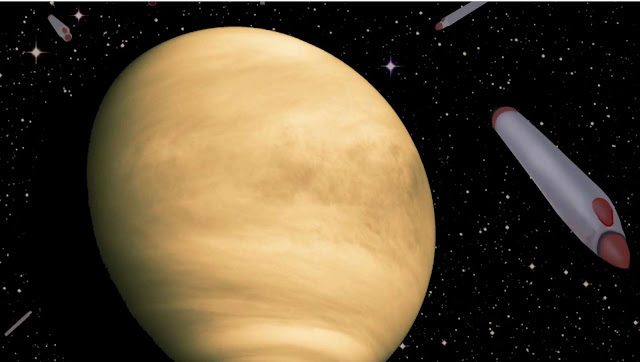 Well, we have bases that are floating in the clouds of Venus. David: 'We' as in the Space Program? David: And you knew that while you were in Solar Warden? Corey: Yes. I had read about those facilities. David: Okay. Could you tell us a little bit about what they are? What they did? Corey: Well, they were research. 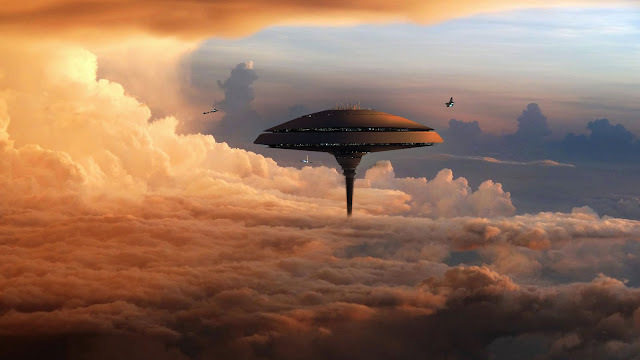 They were listed as research facilities that were somehow suspended in the clouds of Venus and that there were also some on the ground that were built pretty much just like the high pressure underwater bases. Would you like to hear what Gonzales said . . . reported that he saw? Corey: Him and the Anshar bus craft and Kaaree . . .
David: Now when did he report this to you, first of all? Or did you get this from Kaaree? Corey: They both reported it to me when they were both sitting in the . . .
David: All right. So what did Gonzales tell you in the Construct happened to him? Corey: He stated that they entered Venus' atmosphere and . . .
David: Was he in the Anshar bus craft? Corey: They entered the Venus atmosphere, and when they got down to the area where the clouds broke, and all of a sudden these holograms just sort of phew, phew, over these different areas. And there were these . . .
David: I don't know what you mean by 'phew, phew'. Corey: Well, they just . . . They turned off. David: The holograms turned off. Corey: Yeah, hologram, like camouflage holograms that were covering . . .
David: So what you're seeing without the holograms . . . with the holograms in place (it) just looks like a regular, ordinary, barren planet surface? Corey: He could see these very large, very large H-shaped buildings, and flew down, went down into the ground of Venus and traveled a little ways before they landed in a cavern. And this one that he went to was a working outpost. So . . .
Corey: For the Ancient Builder Race. This was Ancient Builder technology. David: So the Ancient Builder Race did not leave. Corey: Well, the technology was still working. Corey: Yes. Once they had landed and disembarked from the craft, he was told to wait at the entrance – not to come in. And Kaaree and two others, probably the pilots, walked in to this arch area that he could just see a piece of kind of an angled glass-like structure going up. And he couldn't make out the rest of the structure. And they walked inside . . .
David: And it was of colossal size? Corey: So Gonzales is waiting in the area where they had landed, but watching. And they walked in, and all of a sudden the . . . everything lit up. The glass got darker, and then started to have all these symbols appearing, all going all the way up the . . . It's like an A-frame, I guess, going up like this. And all these symbols started appearing. And one that he could make out he said looked like a backwards E that had a little G thing on the bottom. Corey: A symbol he had never seen before. And that's the one that really stuck in his head. The rest were real small, and they would just - 'phit, phit' – appear and disappear, just all up and down this thing. David: Now, how does this match up with other cool stuff that Gonzales has seen? He's obviously been to a variety of star systems. He's seen all kinds of extraterrestrial constructs. Corey: This was a big deal. David: Was he blown away by this? Corey: Yes. No one had heard of any working Ancient Builder Race technology, or any that was not just destroyed or had been visited and picked at. Scavenged. David: But this seems to have been protected by holograms, and very much active. It hadn't been smashed by meteors. It was still working just fine. David: So he's blown away. He's tripping out from this. Corey: Yeah. He was very excited. David: But you were supposed to be there with him, weren't you? David: But he is now playing this dodgy game and didn't invite you. David: So what happens next? He sees all these symbols on the wall. Corey: He saw . . . You know, the three Anshar came back, and Kaaree said that they refused to . . . and he could see the being that they were conversing with. David: And what did that look like? Corey: It was a 12 to 14 foot tall completely white being, white clothes. And that's from that distance. That's . . . you know, he said that its . . . It had a head that had a very interesting nose that came down that reminded him of the Easter Island heads. 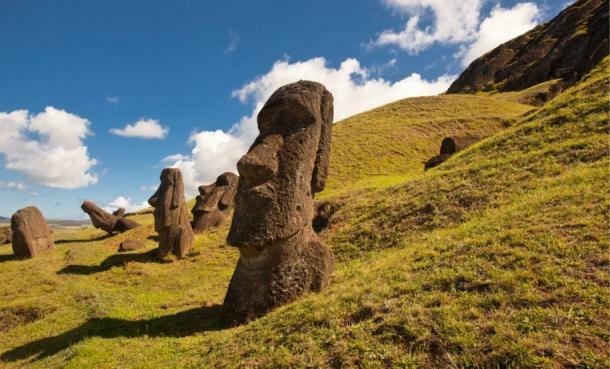 Live Science - Do the Easter Island Heads Really Have Bodies? David: Oh, like the Moai. Corey: Yeah. It was kind of similar. Not exactly. Corey: So he was pretty excited. And then the Anshar walked up, and Kaaree told him that he would not be entering the facility or the outpost because the guardian of the outpost had told him that . . . or they called him a sentinel. The sentinel had said that Gonzales lacked humility. David: Okay. I think a lot of people may be confused at this point, because you told us before that the Ancient Builder Race folks are long gone. 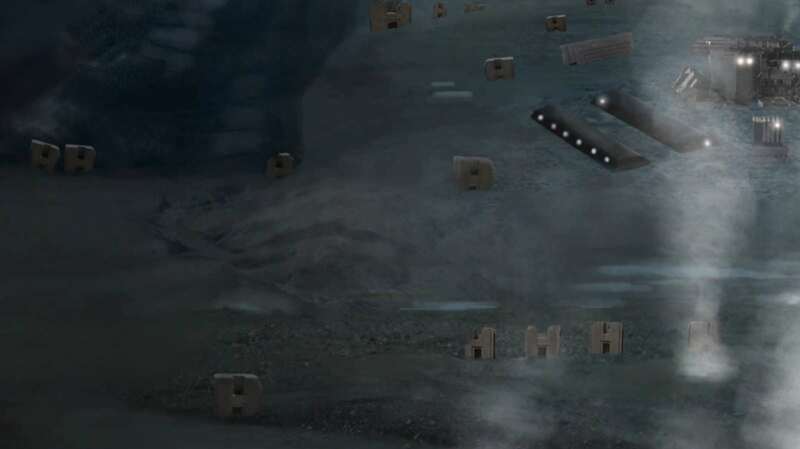 David: They left behind a whole bunch of ruins, including these little tablets that can create stasis fields where you hopscotch through 10,000 years. 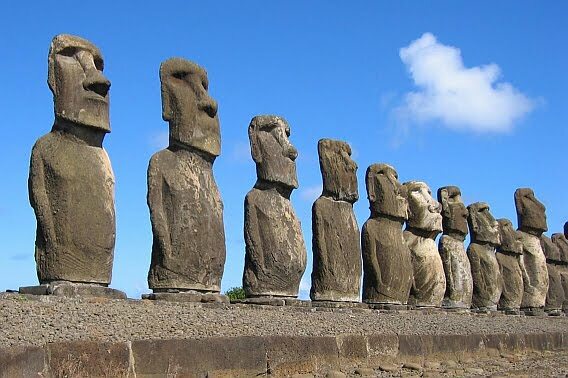 Now you're saying that there is a being that looks like Easter Island that's 12 feet tall that's still there hanging out for two billion years? Corey: Yes, but it seemed to have been materialized or projected from this outpost. David: Right. Like the same thing with the holographic projections of clouds, and then these projections of symbols. David: So this may not have been a living being . . .
Corey: Yeah, it was not . . .
David: . . . as much as some sort of . . .
Corey: . . . a flesh and blood living . .
David: . . . super high tech repository of . . .
Corey: So after that, they left. And he again had talked his way, and I talked about what had happened around Saturn. And that was a real short non-meeting, because he was told again he lacked humility and was turned away. 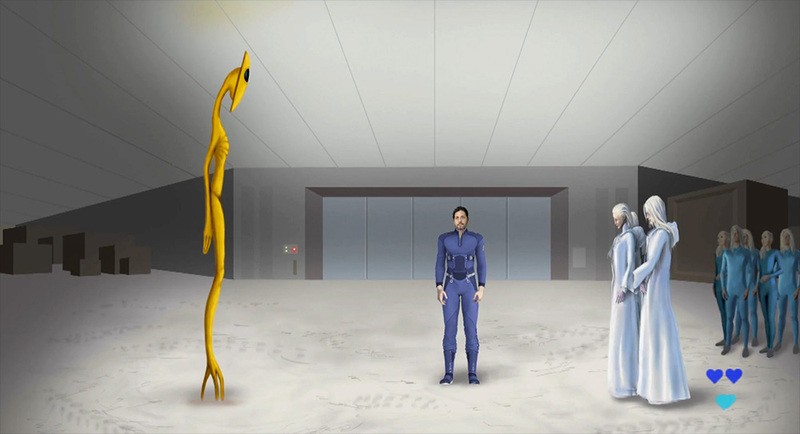 David: This would have been a meeting with the Super Federation and it took place in the same room? Corey: No. This was a totally different station that was an exact duplicate of the station that the Super Federation was meeting on. But this one was not . . . The second one was outside of Saturn, not Jupiter. David: Oh. You were supposed to be there with him, and he had outfoxed you somehow. Corey: Yes. And at that location, they asked to meet with the name that they call me. David: Okay. Now, . . . and I know you can't say what that is, and I respect that. The Blue Avians have only ever spoken to the SSP Alliance through you . . .
David: And through Gonzales. Now he's cutting you out of the deal. But did the Blue Avians tell him to cut you out of the deal, or did he just make this decision on his own? Corey: That was his own. He was in a reactionary state. David: Sure. So both of these meetings get blown, and they don't happen. Let's go to the next part of the story. What happens at this point? Corey: He is taken back to the Anshar city. And it was very shortly after that that he had officially worn out his welcome and was sent back to the Kuiper belt base. And that's where he's remained as . . . until he . . . I was told that he went off for healing with the Mayan group. David: And that's interesting, because I remember back when you were still on good terms with him that he had warned you at one point that you might not see him much longer. Corey: The way he stated it was if he were to disappear and no longer . . . and didn't have a chance to say goodbye, that I should understand that he has gone . . . It was his turn to go in with the Mayan group for healing - the healing technology they have. David: It's really kind of sad that this ended up happening the way that it did. You and Gonzales were good buddies, and now he's basically trying to stab you in the back. And I think a lot of people watching this show, they might want to have had a very benevolent view of Gonzales. They've seen him as a hero. They like him. Corey: I like him. I mean, he was . . . He's just in a triggered state. He's, you know, upset. David: Did he have . . . I don't know if you can say this, but I guess since he's outed now and they know who he is, I mean, did he have family here on Earth? Did he have to . . . Did he, like, lose people? Corey: He told me that he didn't have family, but later on he said that there were people he cared about that he was worried about. Corey: But he was not going to give me any specifics about people close to him. David: But you said that he had this very important job liaising with the Earth Alliance, and that he was of critical importance in this whole SSP Alliance plan to try to get Full Disclosure on Earth. David: So he himself apparently just couldn't forgive you for what had happened here. Corey: Yeah, he . . . One of his friends and colleagues was dead, and another one was missing, and he was outed and could no longer perform his job. David: We've also heard from you before that there has been a breakdown in communication between the SSP Alliance and the Earth. And you mentioned in the previous episode something really fascinating which I hadn't understood until we were doing this on camera, that the SSP Alliance couldn't just show up on Earth whenever they wanted, that they had to do all of this stuff they were doing covertly. Corey: Yes. Some of it was done covertly, but they were doing a lot of it overtly. They were getting clearance to land at the LOC (Lunar Operations Command). You can't just land at the LOC and disembark a bunch of people and go into a meeting room. Corey: So, they . . . Until they were outed, they had a lot more, I guess, ability to move around. David: So what do you . . .
Corey: And during this time, the Anshar were really working on trying to get a meeting with the Super Federation, the Draco, and other groups that had signed this what they called that Muhammad Accord that would allow them to interact with humans more openly. All the signatories of this treaty had to agree to change it to ratify it. David: This involved the evil and the good groups all having to form a treaty with each other? Corey: All groups present in the solar system that were in competition, had different agendas. They were up until the . . . supposedly up until the time just after Muhammad, they were appearing to people and having open conflict in the skies. And this treaty stated that they would allow humanity to develop on its own overtly, and they would only covertly manipulate and puppeteer the leaders. David: Why do you think both the good guys and the bad guys would agree to something like this? Corey: Well, because they were having major skirmishes. They were chasing each other out of different areas. They were destroying the experiment, the genetic experiments of the others. It was chaos. David: So this treaty essentially served both sides. It kept the game fair. They both have to work covertly. They can't tell us who they are. Each side gets to take its chance for the title belt, which is the control of the planet and control of humanity. Corey: Yes. And I . . .
David: And humanity's ascension, whether it goes dark or positive. Corey: And also, I kind of intuitively picked up or felt that it also involved maybe carving up the planet into territories. David: I see. So now, let's get to what happens next. Corey: Next, I had had another series of, I guess, etheric conference calls with Kaaree. Corey: In the Construct. And in one of them, she told me that I should be ready to go and have the meeting that I was supposed to have on Venus and visit the ancient outpost. Corey: And very shortly after that, I'm not sure how many days, I was . . . I went and I laid down in bed. I was just starting to fall asleep and then a flash. And I'm confused. I'm still laying down on some sort of bed kind of thing. And I sit up, and I . . . just the atmosphere felt . . . You're in a different place. And Kaaree was there. And she said . . .
David: And this is not the Construct now. This is real. Corey: No. This is real. Corey: So we boarded a different Anshar bus that had different colored seats. One of them had sky-blue colored seats, and then the one we got in this time had, like, burgundy-ish color seats. Corey: And it was a little bit different that there were two chairs on this side, and then there was, like, a big wraparound kind of couch that went . . . instead of seats being on the other side. David: How futuristic did it look compared to anything we would build here on Earth? They had windows that wrapped all the way around the back and came up and then in the squared-off area in the front. And it was . . . Everything was white. And it looked like real thin material. Whatever was between you, the bulkhead, between you and what was outside of the fuselage of the craft, was very thin. David: What are these three lost races? David: But they're . . . the Draco are claiming that they made them, or that they started out here? This was their laboratory? Corey: That they started out here. That's all that I got out of her before, you know, we started to head back. And . . .
Not to offend any Draco, but the interactions we hear about on the subject of these Draco beings seem odd to me. The way these beings negotiate from time to time makes them sound like mischievous children. If we consider this sudden bargaining posture, we may see evidence of this. If these beings have always had such a claim as the one they are now making, why did they wait for thousands of years to complain about it? I can understand if recent evidence has come forward to prove such a claim, but if this were the case, it wasn't revealed until now, at the end of the game. A claim of such importance would be vigorously kept safe within past records. However, according to the report, none seem to have been produced. Either way, I can imagine that such negotiations would require a certain amount of patience, and I doubt that it is very easy for these Draco (or anyone, for that matter) to pull a fast-one on a room full of telepaths. David: So you were turned around by these ships. David: You weren't able to proceed with the mission. David: What's the next noteworthy thing that happens in our story now? Corey: Well, in the conversation, I had been . . . I was talking about how things were rough between the SSP Alliance and I, and how I had been told that I didn't really have that much to offer them, you know, that I . . . pretty much the only thing I had to offer them is to do odd jobs and to work for them. She said that will soon change because you're going to accompany us on a reconnaissance flight. And I was like, “Okay.” And so we headed back to Earth. And we flew in the atmosphere, the same area where we punch out and punch in. And we head down at an incredible rate of speed. I could see a land mass area. I didn't know what it was because it was very cloudy, and it was dark. Corey: And we shot down. And then right when we got to the surface of the water, I was thinking we're going to, 'phst', punch through the water. We straighten out parallel with the water and increase speed. And all of a sudden, I start seeing . . . looks like ice cubes all next to each other everywhere, almost like you could walk on them. Tons of ice. And . . .
David: You don't literally mean cubes. Just you're talking like icebergs. Corey: But we're passing by it real fast. Corey: And she starts telling me, she said, “The technology of this craft is incredibly intuitive.” She said, “Do not get lost in the data.” [David's looking at Corey with an inquisitive expression.] And, yeah, I had the same look on my face, I'm sure. Ha, ha. But she said this just before we started heading right towards a giant wall of ice, like a ice shelf. And we were heading directly towards it at speed. Corey: And we passed right through what had to be some sort of hologram. And soon as we punched through, we saw an area carved out to where the largest ship that we have could go through and still have two or three times the height of the ship to the ceiling of this archway. But there was all of this, I guess, steam. It was real foggy. Corey: At the entrance, this like fog was coming out. And we headed directly into this basically ice tube. And we were flying all around, and there'd be areas . . . all you'd see was ice, but then you would see, like, some little bit of rock outcroppings. And this was several miles that we went that way until everything started to then spread out and open up. And then we were flying over water. We're flying under . . . over water, under the ice. And then we came up upon this little island area that had a little outpost – looked like an industrial city, but not a city. It was small. And we're still going at a good clip. And all of a sudden, we're . . . there's land below us. And you can't see it real well because it's very dark. And then we get to an area and you start seeing light, a lot of light, up ahead. And the light was penetrating and refracting and reflecting out of this giant ice dome above the ice. Corey: And there were these pools of water that had steam coming out of them. And it was obviously very warm. I could . . . There were trees that looked about this big [Corey shows a distance of about 4 inches with his fingers.] that looked . . . that had pine needles on them. But it was so dark, I couldn't make them out real well. And we curve around this mountain . . . and there were these mountain peaks that came up out of the ground and disappeared into the ice, the ceiling of the ice. It was bizarre. And this was obviously . 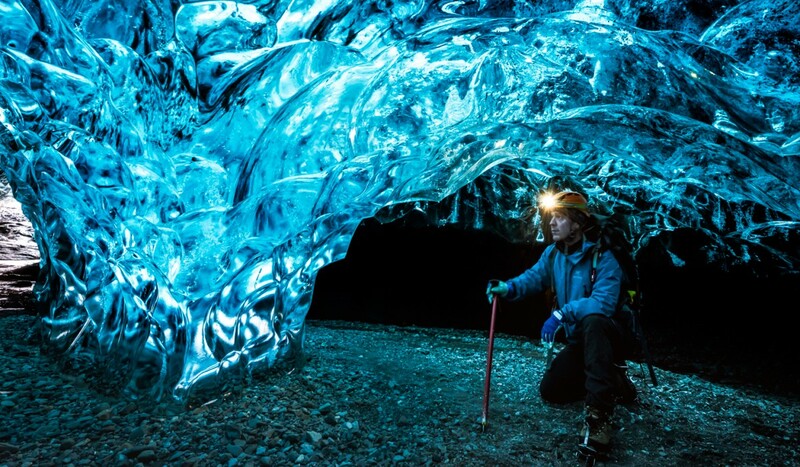 . . this ice pocket, or little igloo under the ice, was obviously created by the thermal activity. 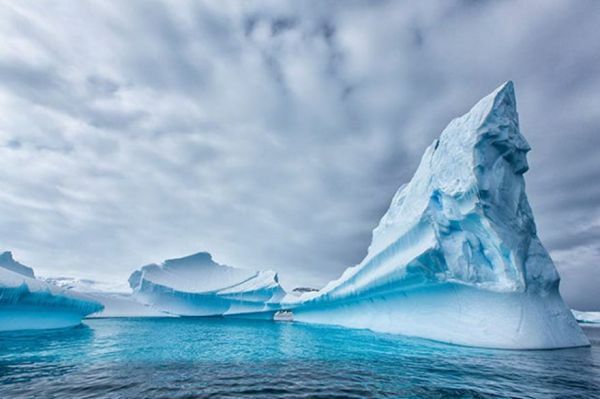 And this was in the northwest area of Antarctica. We then came upon the first really big industrial city that I saw under there. And you could . . . It looked like it was . . . At one time, it was about this size, [Corey shows a distance of about 10 inches between his hands.] and then they had built it out [Corey spreads his hands as wide as he can.] over time. But amongst the area that they had built out, there were these huge shattered and broken H blocks. David: So the H blocks were like the ones that we see in Peru at Pumapunku? Same kind of idea? Corey: Except some of them were up into the ice, like frozen up and partially exposed out of the ice. Some of them were pushed down in the sediment with just kind of like the corner sticking out. And then there were broken pieces of the H blocks everywhere. And these were very, very large. Very large. 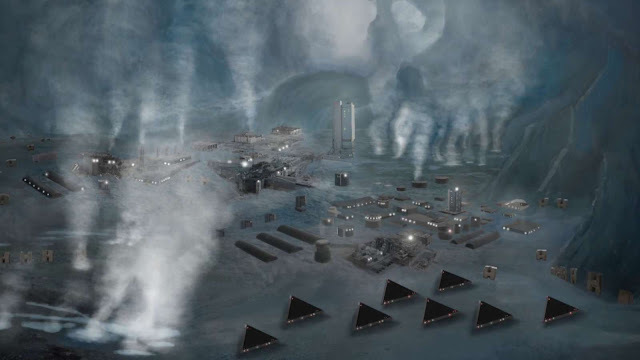 David: Now, you've said before that Antarctica was originally a habitable world, and that there was some kind of Earth axis realignment, a physical movement of the Earth in space that caused it to become the South Pole, thus causing the Atlantean flood. The waters that come in then quick freeze and turn into glaciers. David: So these were ruins from before that happened most likely. Corey: And they were obviously crushed by the ice at one point. Corey: Another thing, we saw all of these large triangle craft just . . . I couldn't tell if they were hovering above the ground or parked on the ground because of the lighting conditions. And it was pretty well lit from all of the industrial lights reflecting off the ice in the general area of where this complex was. And as we flew over, we see two conventional-looking submarines and a few of those very large black subs. And they had these cranes on kind of like a train track that were positioned and unloading part of the almost egg-shaped black sub that the top kind of like slid back like that and exposed the inside. And they were unloading. And it was at this point that I started wondering how many of these outposts are there? Is there anything under the ground? What . . . You know, I started thinking all this stuff. And all of a sudden, all of these displays . . . I mean, like holographic displays started popping up all around. And what I didn't mention is when we first entered this under ice area, the ceiling and the floors turned transparent on this craft. Corey: So the view was incredible. The back of the seats were transparent. You could see through them. If you looked back behind you, you could see the burgundy area where people sit. But if you looked forward, it was just . . . you could just see everything. David: Now, she had told you this was an intuitive craft. Corey: Right. So all these displays started popping up, and I started looking at it and I was like, “Wait, I need to see, you know, see what I'm supposed to.” You know, she told me not to get caught up in the data. Corey: And I really wasn't understanding all I was seeing – everything that was popping up. I saw sort of the map of the area we were in, and I saw two large areas and then four smaller outpost areas on the map. We pass over that industrial city. It gets darker again. And then all of a sudden, we're over like a bay area. And across the end of the bay area, we could see what looked . . . which was another city that showed up on the map that popped up for me. And I thought we were heading right towards it, but we stopped over the water. And I look up, and I see this huge . . . The ice was 200~300 feet above the surface of the ground in most of the area, but in this bay area, it was 600 feet or 500 feet. It was much higher. David: The ceiling was higher. Corey: The ceiling was higher. Corey: And there was this large hole, you know, 70~90 meters wide, that went up and then went off at an angle above us. It was a huge . . . and it's apparently where all of the thermal heat is escaping or . . .
Corey: So . . .
David: From this underground volcanism that you say is causing the igloo. Corey: Yeah, and there was . . . Yeah, there was all kinds of volcanism and stuff down there. David: Okay. Hence all the steam you're seeing. Corey: Yeah. Yeah. So we stopped underneath it. And I think we're about to shoot up through it. But instead, “phst”, we go into the water, like flat, and like a belly flop almost, but just “phew” into the water. And we're under water. And it's dark. It's pitch black. And you know, we're, you know, traveling under the water. And then all of a sudden, we enter into this cavern type area where obviously these subs are coming and going from. To be honest, I was surprised to hear that there was no resistance from the Draco to this intruding craft of the Anshar. Then again, I also remember the fact that these groups have a treaty between them which ensures peaceful interactions among them. So a periodic fly-through might be a fairly common experience in this Draco base. This experience sounds like something we might expect from a ride in a craft as advanced as these buses are reported to be. The first things that strikes me is the material of the outer hull. Goode's description makes me curious to know if this might be the transparent aluminum material that has been found all over the solar system among these ancient ruins. If it is, this might explain the ability of this material to turn from opaque to transparent. However, this is only one possibility. 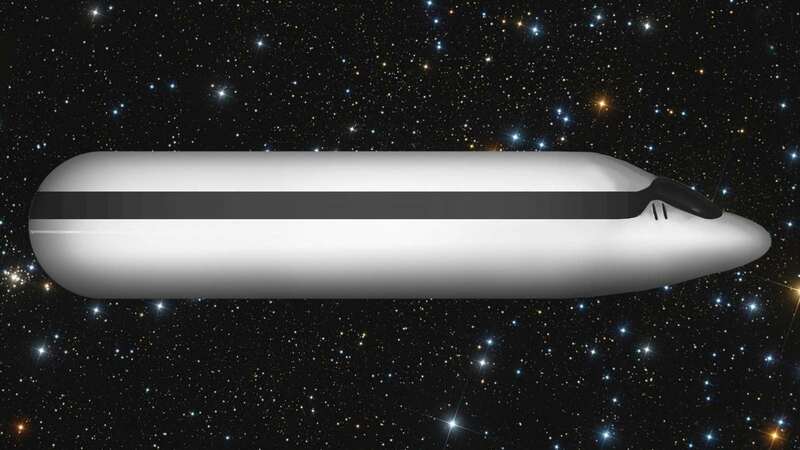 If we were to consider the likelihood that this bus actually did have mechanical components, these components would have to be small enough to remain out of sight within the inner space of the craft, and still be able to function extremely well. In this case, it may be that the material actually remained opaque the entire time, and simply have holographic displays on their surface which showed view fro outside the craft. Either way, this sounds like a pretty amazing ship. Corey: And we . . . I don't know how far, we head back a ways. And I see two or three of those subs coming with a long line of tiny little bubbles behind it and a light out the front. And this was obviously a rift. And the rift started to curve around, and we traveled around curving, and then we saw this huge arch that was, I mean, I don't . . . It was so big. And it . . . what it had done is, a rift was curving around this way, and this was an arch that connected two rift or tunnel areas. And it was ancient. David: And those little black guys at the bottom, what's that? Corey: Those are the giant black subs that . . . That's how big this area was. Corey: It was just huge. David: And this was built by somebody a long time ago? Corey: Some ancient group. Some ancient group had built this big, giant arch. I mean, there were cracks . . . and it was a real smooth arch. There were cracks and areas where, like, pieces had settled to the bottom – had broken off. We headed through that. I thought we were headed back to the Anshar base, and then we shoot up through the top of this rift cavern, and we pop out of the ocean in . . . where a blue swirl is. And then we go right back in. Corey: And we're at the air command center (a part of the Anshar city in Inner Earth). And that was the end of that. David: What time approximately do you think this was when you had this trip? Do you remember exactly? Was it in April of 2016, or March? Corey: This was at the end of April, early May. David: Okay. Now, I remember getting a briefing from you on April 27th is what my written notes say, and you had started to get some very unpleasant briefings. In fact, you mentioned that I think by that point you said you'd had eight or nine of them. David: And this was the first wind that I got that you and I were not necessarily doing a good job, and that there was some very significant trouble that we were in with the people in the Alliance. Corey: Well, all of these experiences, all of the information that I've just shared, was intel that the SSP Alliance and the Anshar stated was . . . it was critical to get the information out to the public, because there are people that also look at this intelligence in the Earth Alliance that they wanted to give them the intel of the actionable intel. Because of some other operations that were going on, it was time critical. David: And I guess because of the loss of Gonzales, they didn't have a way to communicate this intel anymore except through direct effort of you or me doing what we're going to do. David: What . . . I know what you told me on that briefing from April 27th, that you had eight or nine meetings. I didn't really get the full scope of how bad it was. But let's start to go into that now. Corey: In the beginning, they said that the incident of me being chemically interrogated had destroyed basically my relationship with them and their trust in me. David: So you said also that when you had that meeting with Gonzales at the metal table, that there was this guy writing things down on a piece of paper. And this guy ends up contacting you again. David: So tell us about him, whatever you can say that's safe. And he said that in order for me to get some of their trust back, that they wanted to do what they called a chemical debrief. Corey: Yeah. And if I had any idea of what I was agreeing to, I would not have done so. It was just a euphemism for another chemical interrogation. One that I agreed to, and that they wanted to put me under so they could find out anything that I may have betrayed, and unknowingly betrayed. That's . . .
David: So they're worried about, in the haze of battle, that if you've been compromised and brought in, they want to know exactly how much stuff you leaked. David: But since you were amnesic, you're not going to necessarily remember it. And then that means the enemy has a weapon they could use in a surprise attack against them. Corey: That's how they presented it to me basically. Corey: So I agreed. This chemical debrief was . . . It was horrible. The chemicals burned. The other ones didn't when they went in. I mean, burned bad, to where I was like, “Ah! Ah!”, you know. It's not much of a secret by now that I have had abduction experiences for the majority of my life. Though I have developed the awareness and ability to refuse authorization for any of these experiences, the memory of them still may come back from time to time. These experiences were nothing anyone in their right mind would want to have. Even the image of greys used to bring up feelings of intense fear and anxiety, though I didn't have any recollection of the physical experiences which created these intense reactions until later on. I can only imagine what my body must have endured in order to develop such reactions to nothing more than a picture on a book cover (though this reaction has dwindled significantly in the past few months). I realize that Corey Goode's abductions were much different, but I can relate to the feeling of being powerless to stop something that is so unpleasant to take part in. If there were ever an upside to these experiences, I would say that they may help us learned about ourselves, and that (as in my case) we can realize that different abilities which we may presently consider to be supernatural seem to be fairly normal in some places. So I can imagine, that some time soon, we may begin to see these abilities on a more regular basis. Along with this, I hope that all of those who suffer as Goode has described can be free from this difficulty in their lives. Corey: And they just started laying in with all kinds of questions and everything. And I . . . that is kind of a fog to me. But the . . . What was really the most stressful part of my relationship with this Wrangler is the way he treated me. He treated me with complete disdain, told me that I needed to toe the line and start picking up some of Gonzales' work on the ground. If I did so, they would give me more material support and technology to help me with issues I'm having with my body. They reiterated people that have been through what I've been through in the 20-and-Back that, you know, I'm going to start having more problems with eyesight, neurology, and he starts listing all these things. You know, he said, “You know, you should wear lead sunglasses, the way your eyes are.” And, you know, he was basically dangling a carrot in front of me. David: When you said 'material support', this means they were actually offering you what could have been a potentially very high-paying job. Corey: No, it was more of Gonzales' operational fund. David: Ah! Okay. So it's not like a huge amount of money, but it would have been money. So could you speak to that for a moment? Corey: Well, you know, they . . . They've . . . They came basically out of Cabal programs. So you know, they're damaged individuals. They're . . . They have intentions of bringing all of this technology and disclosure to humanity, but they're still damaged individuals. And with all of these new influxes of galactic energy that are coming in through the sun and being buffered by the spheres, we're seeing a lot of strange behavior in people. And they're not immune from it. David: Right. So this vibrational increase is causing, as you've said to me off camera, end time madness. People are acting more crazy. They're emotionally agitated. You also mentioned that their karma, old karma is coming up for them. Corey: Right. People are being forced into karmic cycles until they learn what they need to learn and accomplish what they need to accomplish. David: Why does he keep bringing you back over and over again? Corey: It's all about intimidation and coercion for me to become their asset. David: Now when you eventually briefed me on this the day before I was to start speaking at Contact in the Desert, you also told me some pretty shocking stuff that made it sound like they were trying to blackmail you, about beams that were aimed at your house and my house. Corey: Right. They said . . .
David: So talk about that for a second. Corey: They said that they would be able to help you and I with technology that was mounted around and point at our bedrooms, our . . . where we sleep that interfered with our dreams and our ability to have cogent thoughts and that kind of thing. David: That they could basically shut that stuff down. David: But they're not gonna do it unless you accept the job. Corey: Right. And whether that's true or not, I don't know. This was such a manipulative person and situation, you know, it's really hard to tell. David: Okay. So you tell me this, and then I do not act because . . .
Corey: For about six weeks. David: . . . I'm in the middle. And it's driving you crazy because I apparently . . . I just really didn't grasp . . . When you told me this, you were very emotional. You didn't say very much. I really didn't get how badly you were being tortured, or how much of it could hinge on me . . .
David: . . . and what I was doing. So the Wrangler meets with you, and the message is very, very bad. Corey: Right. And they gave me basically an ultimatum. They stated that the next time we had a meeting that they expected me to give an answer on whether I would be an asset or an operator for them here on Earth. And in doing so, I was going to be very much under their control, under their thumb. So, I had told you this before the . . . when we were in Joshua Tree. And then when I'd gotten home about a week later, I was waiting for this time on this date when I was going to have this meeting and delivered the message to the SSP Alliance that I was turning them down. And I knew it was going to be very contentious and very upsetting – their reaction. So I'm sitting there, and I'm waiting, and a Blue Sphere comes in the room. And I hadn't seen one in a while. And it came into the room, zipped around, did the normal thing. I indicated I was ready, and I was brought up to a Blue Sphere before Tear-Eir. And behind Tear-Eir in the background I could see all the other Spheres, and there was a very large amount of what looked like static electricity – like electricity between them. It was very active. And I had . . . I conversed with Tear Eir, and Tear-Eir told me that they had communicated through Gonzales that I was not going to accept the offer and that they were not to pick me up anymore. David: And if you had been picked up, what might have happened with the Wrangler? Corey: I don't know. It wouldn't have been good, because he was very angry that the intel hadn't got out. He was very angry on several things. David: Angry at me, too. David: I mean, you had given me some very contentious stuff about me. Corey: Yeah. He was . . . Yeah, he's just very . . . a very triggered, angry person. David: So it appears now that you are not going to be abducted by this Wrangler any further. David: But that also means they're not going to be able to replace Gonzales with you. And didn't he tell you that you were the only one that could be replacing him. Corey: Right. Well, the Blue Avians, you know, they delivered that message to . . . through Gonzales to the Wrangler. And then they went on to tell me that I needed to converse with Kaaree and let her know that this big meeting over the Muhammad Accords would not be occurring because the groups associated with the Draco were refusing to take part. So without all the signatories, they couldn't have the meeting. And I was also told about . . . We're about to experience a lot of 'end time madness', that the SSP were not immune from it, and that the strangest part, towards the end, was that when masses of people start having visitations from dead family members, that that is a big sign. It'll . . . It's gonna happen en masse that that is a big sign that the veil has thinned to the point to where we're about to go through the transition. This mental image of dead relatives brings up a dream sequence I once had. This seemed to be an actual dream (as opposed to an out-of-body experience). Though this dream did occur after a specific request to be desensitized to the visitation we would all be experiences some time in the future (at least that was the notion and the feeling I was receiving). 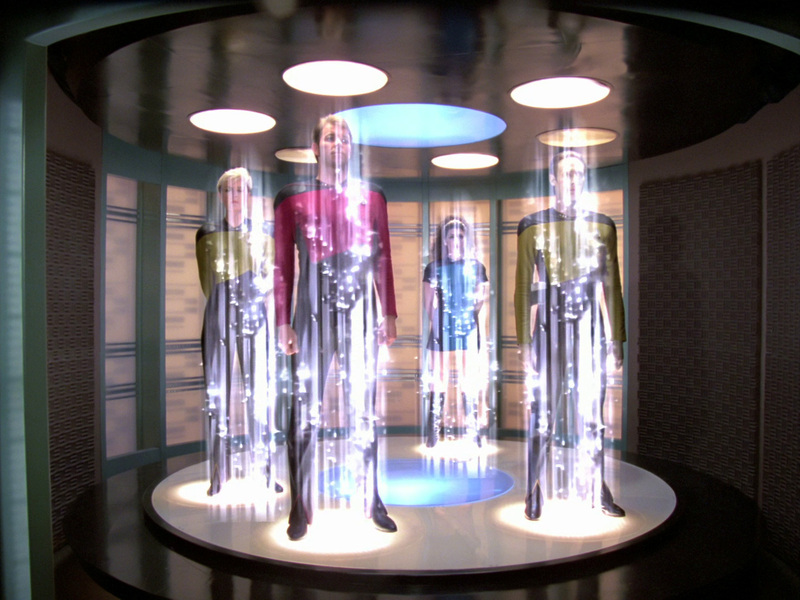 I thought about the Star-Trek experiences of having someone "beam" into my house, or into my general area if I weren't expecting them. If an uninitiated person were to see this for the first time, I imagine they would probably freak out. Depending on their past experiences, they might run away, or possibly throw something at the people materializing. (Though this might just be people like me who didn't have the best experiences after beings materialized out of nowhere.) So in short, I wanted to get rid of the possibility of reacting this way. This was the reason for my request. The night I made this request for help at desensitizing, I received a dream. This was a dream of the house I grew up in. I was in the house doing different things, and at one point, my family decided to go out and leave me there. I remember seeing the car drive away, and after they left, I was standing there looking out the window. As I decided to move around, I had acknowledged that I was alone. So why did I see so many people appearing and disappearing around me? This is the thought I had when I woke up the following morning. The experience was so vivid that I woke up in the morning disoriented, not realizing what the experience was. Then I remembered the request, and sat there thinking about the mental shift it would take in order for me to accept new and unexpected company in this way in waking life. The thought of spontaneous materialization is quite a foreign concept for most of us here on the surface. Even if we grew up watching Star-Trek, it is likely to be a significant adjustment to make when the time comes for both the technological experience, as well as the experience to which Corey Goode was referring. David: Ascension, in other words. And they told you . . . I remember you telling me many of the things that you folks who are into the UFOs and have been watching the show are interested in, expecting to see, that those things will happen very soon . . .
Corey: After these . . .
David: . . . after these mass ghost sightings start to occur. Corey: Right. So after this meeting, I was brought back to my home in a Blue Sphere. And very shortly after, Kaaree contacts me through this etheric . . .
Corey: Yeah, the Construct. And I was reticent to tell her that her meeting had been turned down, but I did, and she didn't miss a beat. She said, basically that was . . . this kind of thing is expected. It's basically the opening of negotiations. This is how those beings, basically that's how they negotiate. Corey: And she did not seem disheartened or discouraged by it at all. David: And this basically brings us up to date now . . .
David: . . . with what's happened to you up until the time of this taping. David: So, Corey, again, I am very glad that the Wrangler is not able to meet with you anymore. I was just absolutely tormented when I found out that my inactivity not writing these articles was causing you to be tortured. And I did say, and I asked you to tell them, please bring me up there instead of you. I didn't want you to go through this. But now we're off the hook. Thank god. So we're getting this intel out. We're going to continue to get the intel out expediently because we do not want to get into this trouble again. David: So we've both been 'inspired'. Corey: Yeah, we'll call it 'inspired'. David: All right. And I hope you out there will understand that it's up to all of us to move the ball forward for Full Disclosure. And you're a part of this, too. Your efforts are needed. Help spread the word. Let people know about this show, and help us bring about the new Golden Age for humanity. I'm David Wilcock. This is “Cosmic Disclosure” with Corey Goode, and I thank you for watching. It is exciting to hear such things reported as we've heard in this episode, not only in written form, but from Corey Goode, himself. It is unfortunate to hear that he was forced to endure such difficulty as the abduction experiences. However, it is good to hear that these have stopped. These accounts (both the pleasant and the not-so-pleasant) have a way of stretching the mind of the viewer, and testing our ability to imagine more than that which we have experienced in our own small part of the world. They can help gives us a perspective of both the possibility and the responsibility of the learning about life beyond the Earth's surface. The accounts which Corey Goode brings to the table seems to be very telling of the reality beyond our atmosphere. However, it is important for us to realize just how much more there is for us to learn. The process of disclosure is happening at this very moment, and I think that at this point, many of us have decided to take part in making sure that Full Disclosure becomes a reality as soon as possible. Though many have decided to help in spreading the word that there is more to know, many more are still needed in order for us to speed the process to completion. The race is almost complete. The truth has almost reached the forefront. All we need is a few more people to get this job done--and we most certainly can. Our future has been long-predicted, but it is we who decide how the story progresses. Let's make the choice to progress with deliberation and determination to see our future unfold in the greatest possible way.